Sometimes we need a categorical answer to the problems that arise in our day to day with the use of the internet. 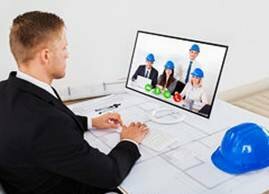 How to become indifferent to the delays generated in our work?, due to a remote or restricted connection. We handle a large amount of important information which we must process effectively; But our computer slows down every time we start loading the data. What can we do to make our data transfer faster and more effective? Our problem is the bandwidth! The speed and efficiency of the flow of data on the internet measured in binary digits per second (bits/s); is what we know as bandwidth. It will depend on its availability and consumption in the network that our contents are duly processed. HOW CAN YOU GET PROFIT TO THE AVAILABLE SPACE OF YOUR CPU OR INTELLIGENT EQUIPMENT? Through the TESTNET offered by NOIA NETWORK, you will have the opportunity to maximize the performance of your team. By means of some simple steps, you will be able to subscribe the service and make the sub space used of your CPU become part of the content distribution network NOIA. Additionally you will be able to accumulate some cryptographic in your portfolio of values, since NOIA NETWORK pays you TOKENS while your equipment remains connected to the network. You will be surprised with the amount of applications and websites that you can visit efficiently, the content delivery will be enabled for any platform worldwide, you will reduce the expenses percentage and you will have a new generation user experience. Each one of us will be able to configure your machine for personal use and we will be rewarded by contributing with its bandwidth and available storage resources. Ok, this was a good start! There is no time to waste, let's find out where the solution to our problems. Let's enjoy this promotional material that will make us discover the advantages of the decentralized platform in blockchain NOIA NETWORK and the benefits of its TESTNET; from now on, all problems with bandwidth and data processing on your PC will be finished once and for all. Internet since its inception, approximately 50 years ago, has been intended to provide a tool to the human being that allows the exchange of information and access to services that facilitate their lives. The fleeting growth experienced by the network in recent decades has connected services and applications of all kinds, which manage to saturate some platforms. The permanent updating of the software and hardware in our machines can attack this symptom in a corrective way. Other more advanced concepts such as: The encryption of information, the creation of nodes, the protocols of data transmission; they contribute to improve the connections and guarantee to a certain extent the equilibrium of the system. Is the capacity of the network sufficient to support the demographic figure and cover all the needs of the user? Internet users seek a strong response to problems related to bandwidth; In most cases we resort to repowering our computer and in other cases to contract expensive services from a virtual private network (VPN) that offers a reliable extranet and robust enough to load our applications. 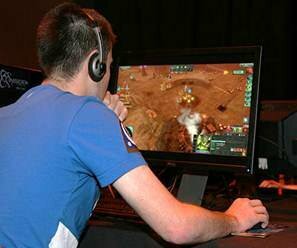 This is the case of the Gamers, who require large space on their PC to run the new versions of their favorite games, which require many graphics and large number of bytes. We also have the case of amateur video, film lover, bloggers, among others, who use video applications; which are very heavy and sometimes hang half of the data load. road infrastructure (.DWG, PWPT format, PDF), animations ( Mp3, Mp4); In addition to real-time data transmission through my intelligent team. They contain information that is quite difficult to exchange or share on the network since it requires a lot of storage space, as well as a considerable bandwidth that guarantees data loading. Sometimes, connection problems affect my work rhythm. NOIA NETWORK: A SOLUTION FOR DATA TRANSFER. 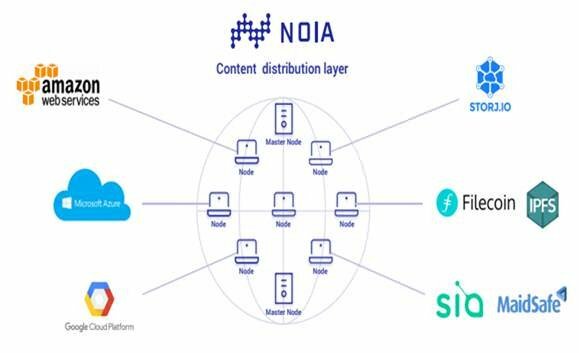 NOIA is an infrastructure based on BlockChain that allows the processing and distribution of content safely and efficiently. It uses the available bandwidth of the CPU to create a distributed layer that maximizes the transfer of data through the internet. Each computer subscribed to the platform will serve as point of presence (POP) for the caching of web content through local Internet networks around the world. KNOW MORE OF NOIA NETWORK AND HOW IT WORKS! 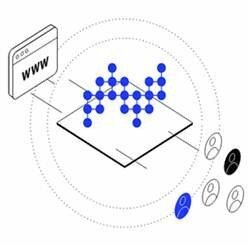 It is a distributed network (CDN), based on a layer of intelligent contracts subscribed in blockchain, composed of a set of nodes that add high performance. Edge nodes are executed using the native data delivery protocol (CSL). 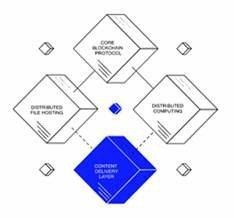 It contains a Middleware for optimization, a layer specially designed so that any website or web application can make its content delivery more efficient, regardless of whether its infrastructure is a traditional or decentralized model. HOW WILL NOIA NETWORK ACCEPT BY THE BANDWIDTH MARKET? The way to maximize the bandwidth of NOIA NETWORK, is to use the available space of computers, smart devices, data storage centers, subscribed to the system to create a cached storage layer, capable of processing and distribute the information on a global scale. Its decentralized feature allows its use to be free and its infinite applications in blockchain, providing global solutions under a reliable governance system. HOW COULD NOIA NETWORK COMPETE WITH OTHER SIMILAR DECENTRALIZED COMPANIES THAT ALREADY EXIST IN THE MARKET? So I managed to understand that NOIA NETWORK is really a taxpayer service for the independent user and for the companies, and not, a commercial product like others commonly offered in the network. WHAT IS THE CONTENT DISTRIBUTION NETWORK (CDN) AND THE DATA DELIVERY PROTOCOL (CSL)? A CDN is nothing more than a network of computers distributed at several strategic points in order to make it easier for users to access and maximize bandwidth. Each computer acts as a computing node that stores copies of the data so that the client, according to its location, can connect to the nearest computer and access the information stored in cache, without saturating the central servers, avoiding the funnel effect which usually collapse the system. The data delivery protocols are a set of rules or mediating rules which are carried out the transfer of data in a certain platform. Its purpose is to make the exchange of information an efficient process with guarantees. The delivery protocol a reordering of information to achieve priorities in the transfer according to the type of file, its complexity and its weight; managing to avoid the funnel effect. 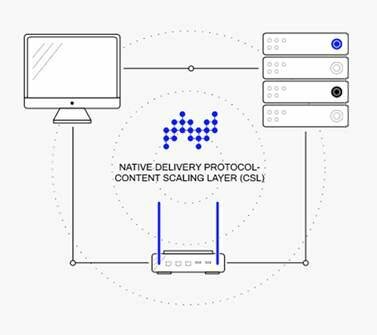 NOIA NETWORK uses the CSL protocol to create a distributed cached storage edge network that allows fast delivery, reducing maintenance costs and guarantees as each node is replaced or replaced with one in case of failure; this makes the service uninterrupted and scalable. The available bandwidth and storage capacity of each device generates the bandwidth that supports the network; so the user only with staying connected to the internet is already opting for the benefit and contributing with other users making the system adapt to future demands as the ecosystem grows. Of course, like all average users, we hope that the system offered by NOIA is compatible with our hardware, software and other products that we use to navigate the Internet. How does NOIA NETWORK achieve this goal? Of course through its architecture built on blockchain. The interoperability achieved by the system allows the application of any CDN or web / dapp hosting product. 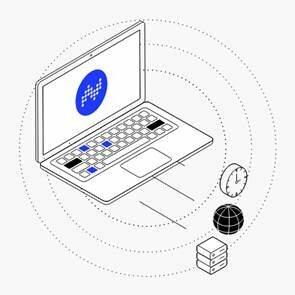 The service is integrated with infrastructures based on the traditional cloud or applications distributed in blockchain; has the ability to nest layers of content with access available at all times, the storage devices of the client will have optimal performance from the same time it is connected. Its scalable system allows developers to contribute their technological proposal without interference since the Dapps will have enough storage space and enough bytes to load their data correctly. We're still looking for something; We have to find the litmus test that makes us trust and allows us to have a full user experience where we see our data flow correctly. Definitely to get to the point of more reasonable conviction we have to try the TESTNET NOIA NETWORK; The test that will make you change your way of surfing the internet, at the same time you can earn some extra money without making more effort, just by contributing with the available space of your CPU, which you do not use. For this step I will only guide the reader to the instructions of use in such a way that it can be documented enough before proceeding to the subscription, which he must do very carefully to then make his personal decisions about it. The 1st phase of NOIA Network Testnet is live. We are inviting 2,000 peopleto participate by deploying NOIA nodes on their machines. To incentivize participation, we will be rewarding each participant with 200 NOIA tokensevery week. Anyone that fits the criteria may join and help the network. Sign up on NOIA Network dashboard and complete your KYC application in order to get approved and therefore qualify for the Airdrop. Visit NOIA Network GitHub page and follow instructions there to download the NOIA Node Client software and install it on your machine. Must have the 8058 UDP data port and 8048 TCP control port opened. Must be up and running for at least 72 hours a week (aggregate time). Timer resets every Friday at 12 pm UTC. You can start running your node today, even if your KYC application hasn’t yet been processed — the time will be recorded and accounted for later. You will be given a unique referral link. Share it with your friends and increase your weekly rewards of NOIA tokens. Log in to NOIA Network dashboard to learn more. Feel free to reach out to NOIA Network community managers on Telegram. NOIA Network reserves the right to change details of Testnet participation conditions / instructions / requirements. Testnet participants will not receive any tokens until the Token Generation Event. The record of each participant’s payouts will be kept on our database until the Token Generation Event, after which the tokens will be distributed. Once subscribed to NOIA NETWORK, you can access your MEDIUM account by logging in with some of your accounts in: Google, Facebook, Twitter or email. Here you will find the latest NOIA news as well as interesting information about the TESTNET. Finally, I will recommend you to join the NOIA conversational room through Telegram. Where your excellent team of professionals will answer each of your concerns. 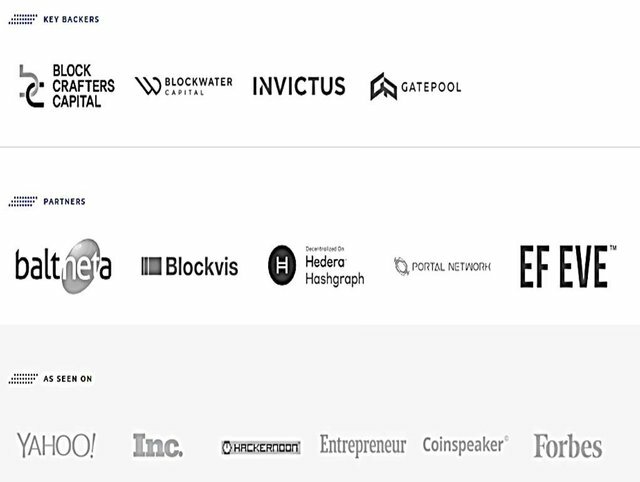 NOIA network indeed belong to list of those blockchain/crypto projects, that in my opinion will last very long and will turn their industry upside-down. in positive aspect. Nice to have you around here! Lately I had a chance to "talk" to NOIA representative and I underlined that not everyone who wants to become part of testnet is willing to go through KYC and soon this requirement will be removed. 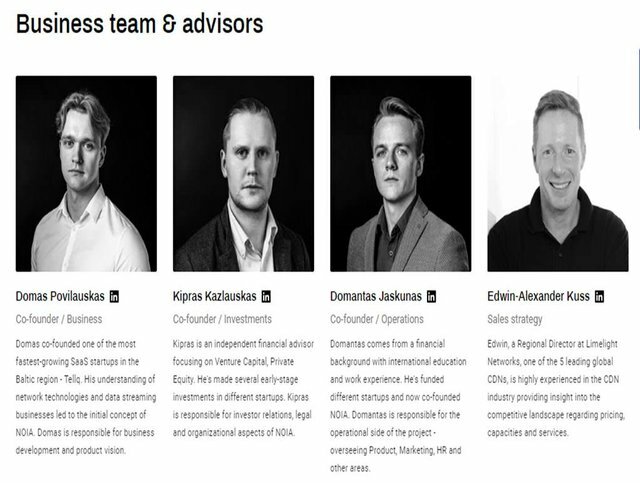 The team of NOIA NETWORK professionals through Telegram offer a timely and satisfactory response! I like to know the news you have received; Surely the doubts of many interested users have been clarified. The KYC policy is commonly used to create a commitment to the client through their identification, this adds transparency and security to operations. I think that in the case of the TESTNET the massive adoption is required by a considerable number of users willing to participate, then the KYC should be seen rather as something optional and not as a determining requirement! Yes, completely agree that NOIA NETWORK will achieve a positive impact on all customers. Just seeing his magnificent white paper, road map and how they have fulfilled their commitments, it is clear that his vision of the future is 100% upward. You always bring some good comments. There are many applications that NOIA NETWORK would have! Can you imagine how it would impact education or medicine? 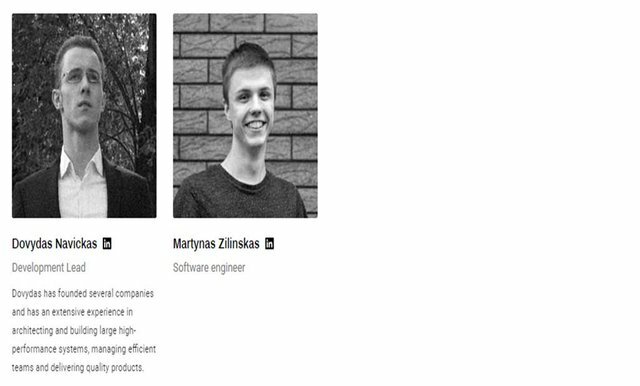 A very interesting project! I think that in medicine NOIA could contribute in the area of ​​CAT (high tech center) where some equipments need to connect to the Internet to issue reports! For example; equipment for magnetic resonance, imaging and radiology of last generation. @rosnalyguerra, You have left me impressed with your brilliant comment! Welcome, you have made a great contribution to this publication! I think that in medicine NOIA could contribute in the area of ​​CAT (high tech center) where some equipments need to connect to the Internet to issue reports! I see that you have solid knowledge in the field of medicine, surely you know what the needs of that sector of health are like! I also think it can be useful in education! Some schools have computer rooms that sometimes have big connection problems related to bandwidth! if some schools participate with their CPUs as nodes, they could correct that inconvenience, and maybe with the gains of Tokens, could invest in maintenance for the equipment; It is a recommendation mainly for countries in development or low-income areas. Good to know that education can count on NOIA to improve its level of information technology. where the internet pristically does not have broadband; there are only expensive CDN networks that only some lucky ones can access! Local schools require internet to improve their quality of life and update their knowledge. Have you already thought about subscribing to the TESTNET? I was as well hoping that the KYC was optional. I wanted to sign up for the TestNet but was unable to due to current restrictions imposed by the KYC. Thanks for the insight. KYC while I feel it is important in crypto, did discourage me as a part-time contributor. NOIA is definitely taking the smart approach. Early KYC requirements may have saved some projects a lot of start up issues. Hi @machnbirdsparo I also think that security in Crypto is of the utmost importance! Yeah KYC is not good for start, it's better to make it be like an optional verification or a gateway to some premium features for users on the platform. PS: I think you should edit your comment and make the important small new bold! How good that you are here willing to give good comments! Undoubtedly, we agree on this! without losing your information or your progress! Hope it will be possible soon. Soon any fault related to KYC will be corrected! That is great news. I was looking forward to adding my computer as a node in the network but was unable to due to the KYC restrictions. Hopefully it will become optional. Remember that a DECENTRALIZED system always thinks of the collective! For sure, we will be free to choose our TESTNET without obstacles! NOIA NETWORK always takes into account the case of each client to adapt to the role of each one and achieve the massive adoption of the service! What a pleasure to have it here! I recommend the TESTNET NOIA! for sure it will be very useful! of the available space of your PC which you do not use! @nachomolina, siempre a la orden! full of advantages for the user! I'm glad you liked my article! with 200 NOIA Tokens a week! Estimado @nachomolina, estoy complacido de encontrarme con esta publicación. Primero te felicito por la forma tan completa en que has presentado este tema, además de poner tu empeño en ofrecer una fácil comprensión gracias a tu habilidad para exponerlo. Aunque, a veces me cuesta entender algunos temas, NOIA se presenta como una novedosa red de servicio. ¿Es así o entendí mal? Corrígeme si me equivoco. 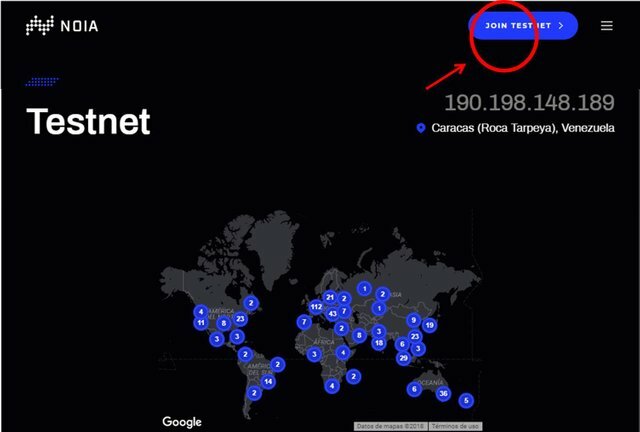 A través de TESTNET ofrecido por NOIA NETWORK , tendrá la oportunidad de maximizar el rendimiento de su equipo. Mediante algunos sencillos pasos, podrá suscribirse al servicio y hacer que el espacio secundario utilizado de su CPU forme parte de la red de distribución de contenido NOIA . Además, podrá acumular algo de criptografía en su cartera de valores, ya que NOIA NETWORK le paga TOKENS mientras su equipo permanece conectado a la red. NOIA es una infraestructura basada en BlockChain que permite el procesamiento y distribución de contenido de manera segura y eficiente. Por supuesto, como todos los usuarios promedio, esperamos que el sistema ofrecido por NOIA sea ​​compatible con nuestro hardware, software y otros productos que utilizamos para navegar en Internet. Esto último, claro que es lo que se me viene a la mente. Pues cada equipo tiene sus limitaciones, para poder ser receptor de ciertas innovaciones. Pero en definitiva, es una maravilla lo que nos presentas. a disposición para equipos inteligentes! @nachomolina..... You've actually made this very explanatory and lovely. I am more impressed with your write up and I can't wait to be part of NOIA family. I actually love this part the most because it is just like every users connected to the network are also benefiting for their contribution in the system which is mostly by their bandwidth. I will try the testnet if I buy my PC very soon because I just can't wait to be part of NOIA Network. What a great comment you have had! to join the TESTNET! over here, you will feel very well and enjoy incredible benefits from the first moment! With your PC for personal use you can contribute and maximize performance! We are waiting for you at NOIA NETWORK! Undoubtedly, I do encounter the problems described above but reading through your article made me believe my problems are solved! If implemented successfully, it will really help someone like me big time! This made it interesting; while quality services are being offered, users are also incentivized. I'm glad you liked this review, maybe you are encouraged to participate, after all the advantages and benefits are huge! Of course, we all hope that NOIA manages to establish itself in the market to meet the needs of users who so need it! I appreciate your contribution, friend @acheever! Thank you for attending accept my invitation! You can also count on me! Has realizado y presentado un gran trabajo. Muy útil e interesante. Leer esta publicación , me ha encantado, lo vi como una luz al final del túnel para mí, particularmente. Sin embargo, ante esta maravilla que nos presentas, no puedo evitar pensar en Venezuela y lo inaccesible para nosotros de alcanzar y disfrutar de los adelantos que se traducen en magnificas soluciones tecnológicas para gente como nosotros. Pero quizás me estoy adelantando y resulta que todos tenemos posibilidad de tener al alcance este servicio. Voy a invitar a mi hermano @garybilbao para que lea tu publicación, el maneja mejor información sobre estos temas y estoy segura que le interesará. Si, NOIA en una plataforma de alcance global! doméstico si lo deseas y obtener el beneficio de forma instantánea! archivos que son de gran peso; como audio, video, imágenes de alta resolución y cualquier otro software que demande gran cantidad de BYTES para ejecutarse! Me parece excelente que hayas invitado a tu familiar @garybilbao a leer esta revisión, por acá le atenderemos muy bien! Finalmente, te doy gracias infinitas por tu valioso apoyo! Siempre estuve seguro de que podía contar contigo! Por supuesto el apoyo siempre será recíproco! Un abrazo grande para usted @parauri! Bueeeenaaaajj. Sabré algo de tecnología pero esta vaina me comió. Iré al grano y mostraré mi ignorancia sin pena ni vergüenza. 1°. ¿Sirve una PC que use un BAM como modo de acceso a internet? 2°. ¿Mejora mi velocidad de internet pero sin ralentizar mi equipo? 3°. Cuál es el servicio en sí y dame un ejemplo de otro proveedor similar. Great post, just that i think having NOIA only on computer is a disadvantage for chose who dont have one. And having to keep your computer running for 70+ hours is hard for most persons in some countries, as the cost of using the net is very high. @nachomolina great post as always, i just wish there can be something done. regions! Completely agree with you! Una publicación muy completa acerca de NOIA. Sin lugar a dudas un gran trabajo de tu parte @nachomolina. Espero leer pronto más de tus obras. me alegra que te haya gustado mi artículo! solo pemanecer conectado a la red por 72H! audio, video, juegos y otros software! Friend, I have spoken with many people who have been interested in joining the TESTNET. I sent him the instructions and the link to the official website of NOIA so that they could proceed to participate. Now, I'm investing in some hardware improvement for my PC! I currently have a computer in use as a loan; while I fix my property! I am delighted to have participated in this forum! It has been a pleasure to meet you all and I see that each one of you is very well prepared on the subject! Thx! How well I contributed with you! Your review of the NOIA project is fantastic my friend. You highlighted all the important features and details and it is indeed an interesting network so let's hope they can end up being successful. As you are, I always remember that we have some tastes in common! I like to see you here, I've always had your support! Even, NOIA NETWORK is a data storage and bandwidth company, which helps maximize the performance of your PC; ideal to work with images, music and videos! In addition, its applications are endless. You can participate in your testnet, right now and you will be rewarded with NOIA Tokens with just having the space of your CPU which you do not use. Thanks for coming, surely you still have many questions to ask? What is the use that best suits you? 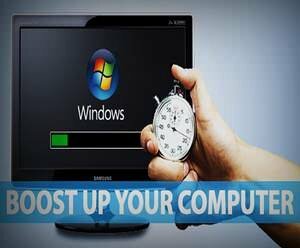 Surely it would help you gain more speed on your PC? Do you find it interesting to gain some money passively? 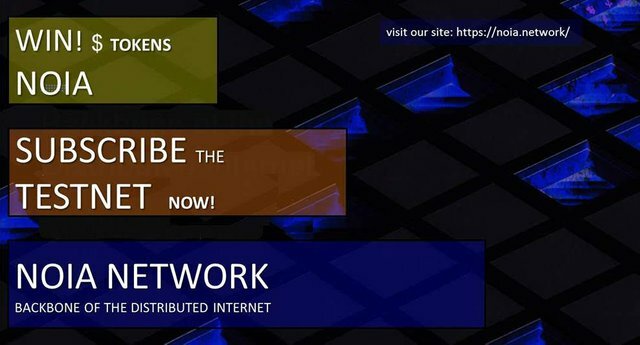 THAT IS NOIA NETWORK; THE ANSWER TO YOUR NEEDS ON THE INTERNET. I am attentive to your comments! That's a comprehensive coverage of NOIA network, @nachomolina! The most interesting take away for me from the article is the ability of the network to work with centralized and decentralized networks. Which means that blockchain and traditional networks can embrace NOIA with equal ease. How's that for well-thought-out program!! There is only one other information which betters this and that is the NOIA free tokens.... :) :) But then with such credibility who would mind joining the network and earning. That too for visibly doing nothing. This is as passive as passive income could be! Nice one @nachomolina. I love your review which is quite relatable with sufficient use cases and reduction of the technical jargons. That being said, I love the chance that NOIA is giving everyone to experience top computing thorough their CDN. I'll like to join the test net, but you didn't specify what devices will qualify. Is it mobile or strictly desktop and laptops? Few had had that concern today! However, I have an answer for you! As I understand the network seeks to involve the user taking advantage of the space available from your home PC, since usually people have a control over the specifications of their machine and manage them directly, being able to have space that they do not use in a planned way! Unlike smart mobile computers which usually occupy almost all their resources with the operating system or with the use of Apps! You see, the main purpose of NOIA is utilizing unused resources, which makes it perfect for households. At the moment, I do not think that people have excess amount of mobile data, as mobile data plan, mostly depends on how much of data you use. There are already lots of unused internal storage on mobile phones though. So, for now we are not addressing mobile phones, but this is very possible in the future future, eleven bandwidth on mobile phones becomes unused too. @davonicera I hope that this answer has managed to clarify your doubts and those of many colleagues in the room! Thanks for your support, you have made a great contribution to the forum! 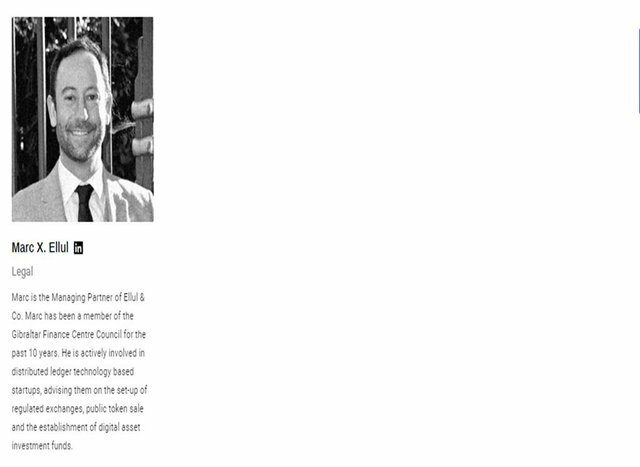 Hello friend, thank you for sharing your knowledge of NOIA with us, unquestionably NOIA is a project that will help users and corporations, so I hope that soon it is implemented and we all benefit, I have had the courage to join the tesnet but I have problems with the connection Internet, I hope to be able to join soon. The advantages of the TESTNET are incredible, there are many advantages to be gained by participating! The system is very versatile and I assure you that your machine will accept working as a node without problems! When you can subscribe the testnet, and you can share your reference link with your friends and other contacts! Remember that you will earn Tokens for each person that confirms your invitation! Dear friend @nachomolinaonce again you wrote great article. I like the unique style of yours.You know exactly how to explain things in simple language that everyone can understand. I never heard anybody get 2 things together - with NOIA you are not getting solution of your problems but you are getting rewards as well. I read whole article and it's great. Thank You for instructions on how to join testnet. It's very helpful for sure. Keep doing great job my friend @nachomolina. It has been of great value! Welcome, thank you for taking into account my publication! Are you interested in joining the TESTNET? I think you'll like the project NOIA! the article, and you can PARTICIPATE! Maybe someone already asked this, but I'm curious to know: How will NOIA compete for the computing power. There's only so much excess computing power. While the previous sentence may seem like a paradox, it's true. There are so many blockchain projects providing solutions for the utility of excess computing power and storage. Why would people opt for NOIA over the rest? I think that everyone who ventures to a launch in the area of bandwidth and data storage, should be aware of the great competition and the infinite CDN networks currently in operation! NOIA is more like a corporation that thinks about decentralizing to a large number of users for a common good! it does not qualify as a competitive product of the market! In the beginning your company would use NOIA as a complementary solution and not as standalone service. You would simply keep using your existing CDN provider and use NOIA at the same time. That would ensure that all of your demand is satisfied and you would start saving on costs right away. As network matures and we will have sufficient amount of nodes, it will be entirely possible to use NOIA as your only CDN provider. Even so, I see that the strategy of marketin and technological innovation, plays a decisive role to insert in the bandwidth market! I think this is just a beginning for NOIA and it has been done in a satisfactory way and thinking big; with short, medium and long term goals that promise a successful future for this great company! Thanks my great friend for your incredible comment! You have made an invaluable contribution to this room of conversations! If the team intends to start as a complimentary service, it might be good if they seal partnerships with other decentralized computing power platforms. your comment has been great! Another great review about NOIA. I'm surprised and impressed that you made this good to read my friend, well done!. 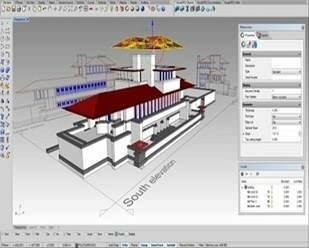 Your Use case is quite understandable especially for someone like me that uses AutoCad on weekly basis. I think anyone can still apply it other heavy softwares that they use, for example the setup to my PES2018 PC video game is 20.5GB quite heavy to compete online. You are absolutely right @ajongcrypto! and videos which require connecting to the cloud! Do not you think they will be more effective? Thanks for coming, my friend! That's right, every day I realize that the NOIA project and its TESTNET gain more followers! So, the massive support will lead us to success and improvements! Thanks for your support, see you soon! There is still a way to go in this room! Hi, Mr. @nachomolina! That's a very good review of NOIA Network. Congratulations! It's good to know that KYC process will be removed like Mr. @crypto.piotr has just said. 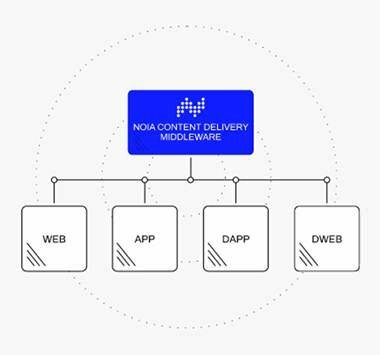 Additionally, NOIA will improve their Testnet by adapting WebRTC protocol, which will make NOIA faster and improve performance and bandwidth use. Right, NOIA brings good news for everyone! and for the home user! of high level and with big BANDWIDTH needs! of services in the future! Thanks, once again Mr. @jadams2k18! Gracias por acercarte a mi blog! Es genial tenerte por aquí! 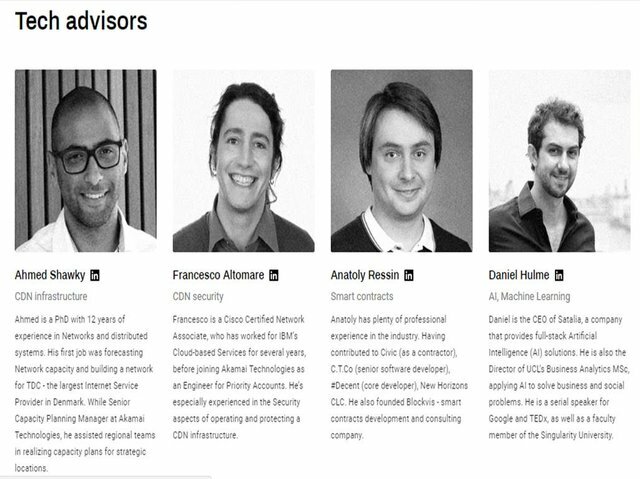 Para hacrte una breve reseña de NOIA NETWORK! de banda y la capacidad de almacenamiento de tu PC! CPU el cual no usas! Bueno Gran amiga, tu eres única! Firstly, I commend you for taking your time to put together this well articulated post. The Noia network is really a great innovation that is designed with unique features as the above. It would be great accessing the internet with ease especially when we have a target but have little or no time to meet to accomplish them, an efficient network like Noia would help facilitate our work much faster. Technology is becoming part of what makes our tasks easier, doing our jobs with ease and efficiently, adds up to it's beauty because we can save more time to do other things. Thank you for attending my call! When you need it, do not hesitate to look for me! It would be great to access the Internet easily, especially when we have a goal, but we have little or no time to accomplish them, an efficient network like Noia would help us facilitate our work much faster. every day and just the time we reach when we connect to the internet! devote some extra time to other tasks of our lives! of the network and the bandwidth. Hi @nachomolina, thanks so much for your reply once again. Do enjoy the rest of your day. I also think it's a great work! Also lets see as a main point the participation in the TESTNET. Articles like this make our community STEEMIT.COM grow, by promoting quality content presented in a unique format. 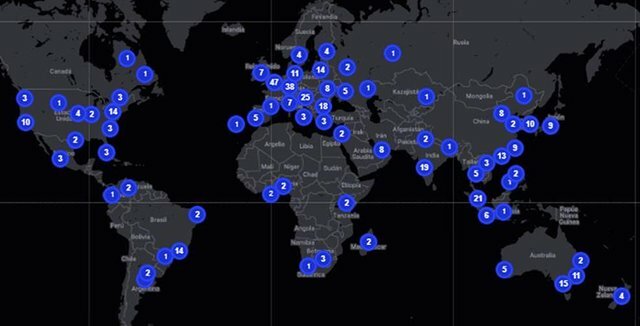 Noia is certainly one of the more profound blockchain projects i a m aware of, happy to see their testnet launch being quite succcessful! In regions with high population density it might have a hard time to compete with traditionell solutions, since it needs a quite complex middle layer to operate. The highest potential in my view is in parts of the world where it establishes something like a last mile, on a simpler level, which otherwise would just lack. You have contributed your experience on the subject in a very complete way! From what I see NOIA develops a modern technology of last generation! and we have spoken of its great advantage when integrating to developing countries; then, we hope that the population density in Latin American countries, African continent and some regions of Asia, will be favored! You have always brought awesome comment! I thank you for brightening this conversation room! You are a great companion, you can count on my support when you need it! Thank you for supporting this publication! This is just a very complete and interesting work. Hopefully i will have internet soon again, and i can test it, i am very gratefully with you @nachomolina for share this great article. Of course, through TESTNET NOIA, you will be able to improve your team's capacity to load the most innovative games with great graphics demand! The gamers will be grateful once they can test the innovative platform of NOIA NETWORK! You also have my support! Very complete your report about NOIA. I congratulate you. It was a very understandable reading. In reference to the Testnet, I understand that it is part of the rigorous tests that the NOIA team needs to perform in order to obtain data and consolidate its brilliant and valuable project. I find it interesting to be offered a motivation in native tokens to the participants. I have heard very positive testimonials from friends who are already running the testnet and it works wonders, it does not affect the performance of your machine. When I participate in the testnet, my team is becoming a node and at the same time I can benefit from the NOIA technology? How would a company that needs a lot of bandwidth, processing capacity and storage to benefit from the benefits of NOIA, also have to function as a node? How are the levels of participation / benefit in the network defined? That is, as a common or residential user, I can run the testnet and benefit from it. But a company that requires a thousand times my need for computation, should only run the testnet to benefit? Once again let me congratulate you for this excellent work @nachomolina. Thank you! When you subscribe a computer as a node to the NOIA network, you begin to enjoy the benefit. You can notice it in the performance of your PC instantaneously. In addition, the reading offered in the interface of the system will show you the bandwidth with which accounts and the other specifications of your node. It also gives you an option to manage the amount of resources you want to share from your own PC. NOIA network is incredibly efficient as it’s decentralized and the more nodes there are - the better thus I don’t think that covering the demand would be a problem. Thank you, for your great contribution @creativeblue; I hope, to have clarified your doubts! Your question has seemed very interesting! Ideal to clear some doubts; I completely agree with you! I think the NOIA project! which have my total support! Do not you think the TESTNET can help? it's an honor to have you on my blog! @nachomolina you have described the problem so well. This happens to us so many times specially when we have a deadline to meet. A great post about NOIA and the benefits of joining the testnet. You are a teacher to me! This happens to us so many times especially when we have a deadline to meet. responsibilities, is when the internet gets heavier! Thanks for your contribution, friend! Just love your energy, your prompt replies and focus. una gran información para continuar en esta ventana monetaria, un gran post amigo, realmente te felicito. Aprovecho la ocasión para hacerte una invitación a suscribir tu PC como nodo NOIA NETWORK a traves del TESTNET! Es algo muy facil y muy sencillo; podrás aumentar tu ancho de banda y capacidad de almacenamiento, esto hará tu máquina aun mas veloz. Adicionalmente podrás ganar Tokens NOIA con solo permanecer conectado durante 72 horas semanales. Las ganancias son de 10 $ semanales! Gracias por tu visita mi gran amigo! Tambien te digo que es ideal para trabajar con archivos de audio y video! Sobre todo cuando son muy pesados y tu PC en ocasiones se ralentiza! rendimiento a tu PC y atu trabajo! Very interesting, looking more into becoming a NOIA node! thanks for sharing! I thank you for attending my call and come to support my publication! You have my support for future events! 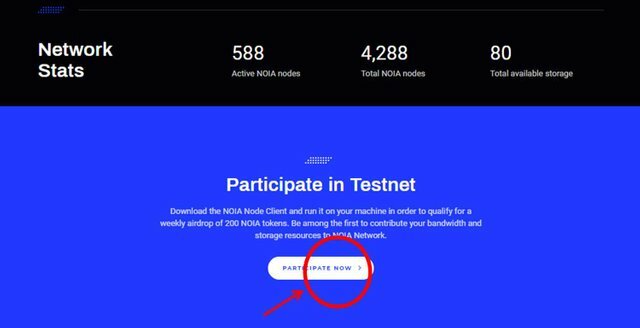 If you are interested you can subscribe to the TESTNET NOIA, only with the available space of your PC which you do not use! The applications of NOIA NODES, are endless! Education, medicine, automotive, supply chains, data centers, etc. Maybe, you could mention me how do you think it would impact the maximization of bandwidth and storage capacity in people's daily lives? Do not you think it's a great collaboration for the Gamers? for video amateurs or graphic designers? IN REALITY GREAT FRIEND NOIA NETWORK IS USEFUL FOR ALL PURPOSES! This technology looks amazing! I think that it will become very useful for a lot of people. I'm not sure I understand every concept so I will continue studying this subject. Thank you for sharing and for doing an awesome job with this review of the NOIA Network. Thank you for coming and for attending my call! I'm in debt to you! You can count on my support when you need it, for sure! REMEMBER TO READ THE INSTRUCTIONS FOR HOW TO PARTICIPATE IN THE TESTNET OK! Hi @nachomolina I ever write about Noia network when I join on @originalworks contest a few months ago. I know that Noia network is the best solution for our bandwidth today. Based Blockchain technology and peer to peer transaction for secure, and efficiency process. With Noia we not just worthless users but will get the rewarded by NOIA tokens. Thank you for attending to my call, friend! Your support is invaluable to me! The idea of a improving performance through decentralized web applications does not originate with crypto. Thus, it is no suprise that there are similar crypto projects in this space. One might also wonder, if in the end, instead of one world wide web, there will be a few globalized intranets that serve either specific industries or purposes like deliverable commodities. Given this outcome, could the NOIA "partnership" serve to create an ecosystem for middle class networking? (: I just had to explore your mention of 'tax'.) Really enjoyed how you presented the information @nachomolina. 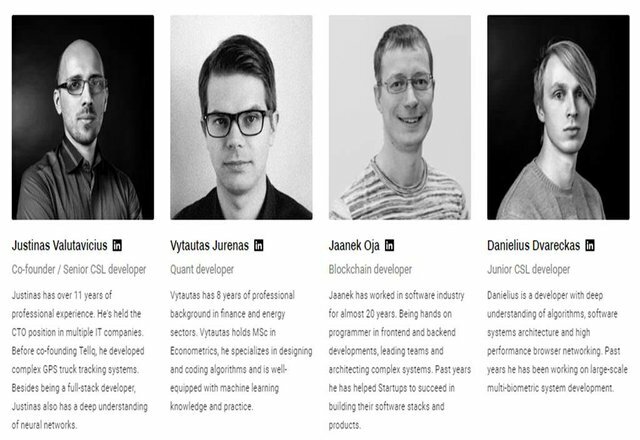 Great vision and project indeed! Keep up the good work, @nachomolina ! Thank you for attending to my call, great friend! If you ever need my help just come and get me! You got a 12.12% upvote from @upmewhale courtesy of @crypto.piotr! You got a 21.98% upvote from @postpromoter courtesy of @crypto.piotr! @crypto.piotr purchased a 33.10% vote from @promobot on this post. You got a 7.58% upvote from @upme thanks to @crypto.piotr! Send at least 3 SBD or 3 STEEM to get upvote for next round. Delegate STEEM POWER and start earning 100% from your share, daily payouts ( no commission ). 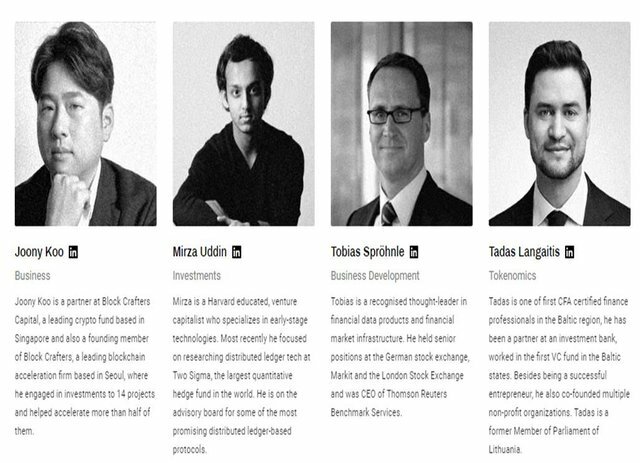 NOIA is a revolutionary project which my belief in gets stronger as I read more reviews. I think what will aid their widespread is launching an Android compatible node client. Thanks for your valuable comment @ced000! This is another brilliant review from you @nachomolina. The influence of NOIA's inventions such as this #TESTNET is a sure practicable panacea to the problems almost every internet consumer suffers from from the beginning of this century you know right?! Much heart to @NOIA. I was already preparing right on in there in my mind to ask a question about the nature of business as to the competition that comes alongside it always. Even before asking, their response quoted in calligraphy does answer the question to my satisfaction: "There are many similar decentralized solutions from the first sight, yet most of them are very different once you dig into their technology. From business side, NOIA is more partnership than competing focused. This approach is better for everyone." NOIA is the best yet and trust me I can say that again. Nice job here: it was like I was reeling a manual text on TESTNET 😊. Resteemed, curated. This conversation room has been very active and everyone has made a great contribution to NOIA! Today we have concentrated on talking about TESTNET as the gateway to the NOIA NETWORK platform! I must say, that this decentralized feature of NOIA is remarkable in many aspects; In fact, it is a very understandable company that gives the client the best opportunity and this in turn stays away from the financial monopoly that we usually see on the net! Some CDN and VPN companies have taken over the internet and services in the CLOUD! These have created a great competition for money and the benefits themselves! Thank you brother, I am eternally grateful for your visit! Hey, how nice you came here @cryptogrind! Thank you for supporting this publication !!! This post has received a 16.73 % upvote from @boomerang. It is another informative review on NOIA. 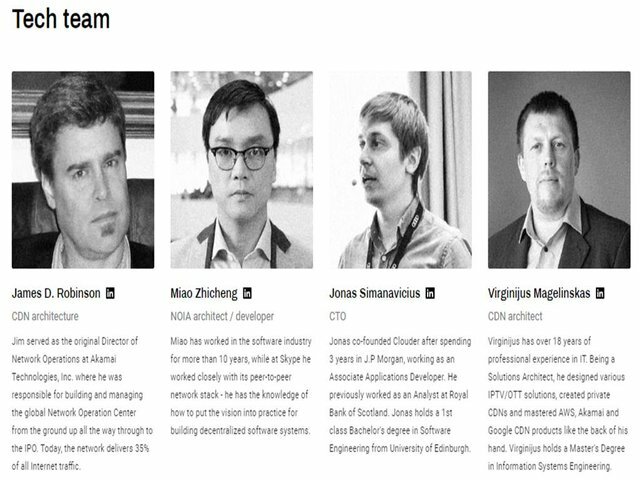 I am getting more involved with this tech..
the success and development of the NOIA project!